2019: 2 races 25,000 metres completed. 2016: 4 races 49,101 metres completed. 2015: 1 race 10,000 metres completed. 2013: 6 races 72,624 metres completed. 2012: 6 races 62,683 metres completed. 2011: 11 races 115,000 metres completed. 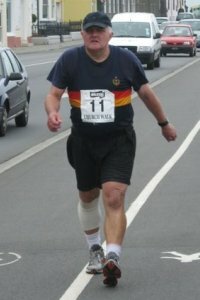 2010: 6 races 43,313 metres completed. 2009: 6 races 51,090 metres completed. 2008: 4 races 19,000 metres completed. 2007: 2 races 13,000 metres completed. 2006: 4 races 47,214 metres completed. 2005: 3 races 9,000 metres completed.